According to contractualist theories in ethics, whether an action is wrong is determined by whether it could be justified to others on grounds no one could reasonably reject. Contractualists then think that reasonable rejectability of principles depends on the strength of the personal objections individuals can make to them. There is, however, a deep disagreement between contractualists concerning from which temporal perspective the relevant objections to different principles are to be made. Are they to be made on the basis of the prospects the principles give to different individuals ex ante or on the basis of the outcomes of the principles ex post? Both answers have been found to be problematic. 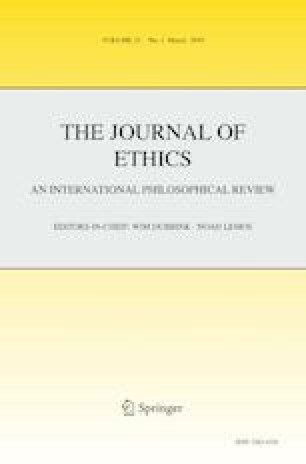 The ex ante views make irrelevant information about personal identity morally significant and lead to objectionable ex ante rules, whereas ex post views lead to counterintuitive results in the so-called different harm and social risk imposition cases. The aim of this article is to provide a new synthesis of these views that can avoid the problems of the previous alternatives. I call the proposal ‘risk-acknowledging’ ex post contractualism. The crux of the view is to take into account in the comparisons of different objections both the realised harms and the risks under which individuals have to live.